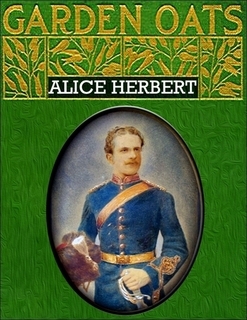 Alice Herbert is the novelist who wrote Heaven And Charing Cross (1928) and several other novels, including the partly autobiographical Garden Oats. She also published a collection of poems, Between The Lights in 1903. She was born Alice Baker in 1859, and married Walter Humboldt Loewe, a Hungarian who anglicised his name to Low. When he died in 1895, she married a Lt. Col. James Alexander (‘Sandy’) Herbert, who worked in the British Museum, and was an expert on illuminated manuscripts. She lived in Hampstead. Her daughter Ivy Low married Maxim Litvinov, the Soviet Foreign Minister from 1918, and a great survivor – he was still in favour after the war. Alice Herbert died in 1942. Alice Herbert also acted as the setter/ judge in competition 123.